This blog has been set up so local people can find out what is going on in the world of Moths, Butterflys and dragonflies in Calderdale.If you have any ID problems put up your photo's and someone will try and help you to id it. 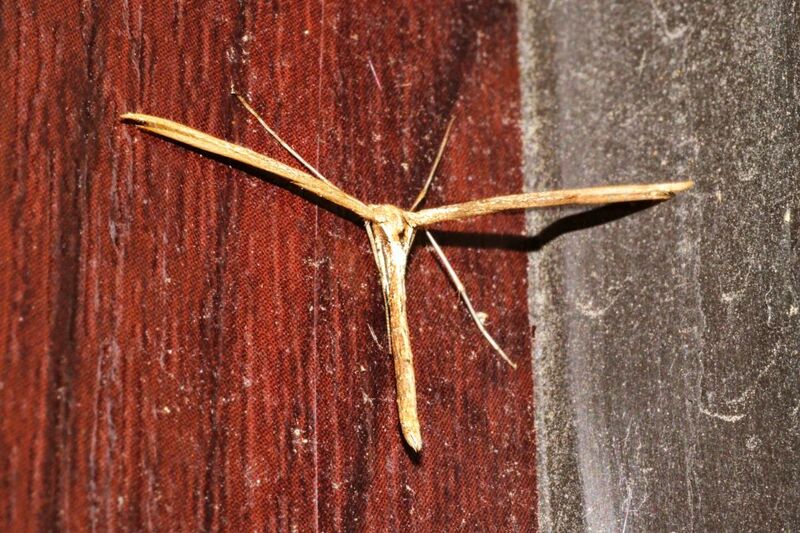 Two moths today. I found the first at 3:20 am, it's a Bee Moth. I think it 's a very fresh one, the green is a lot richer and darker than any I've seen before. 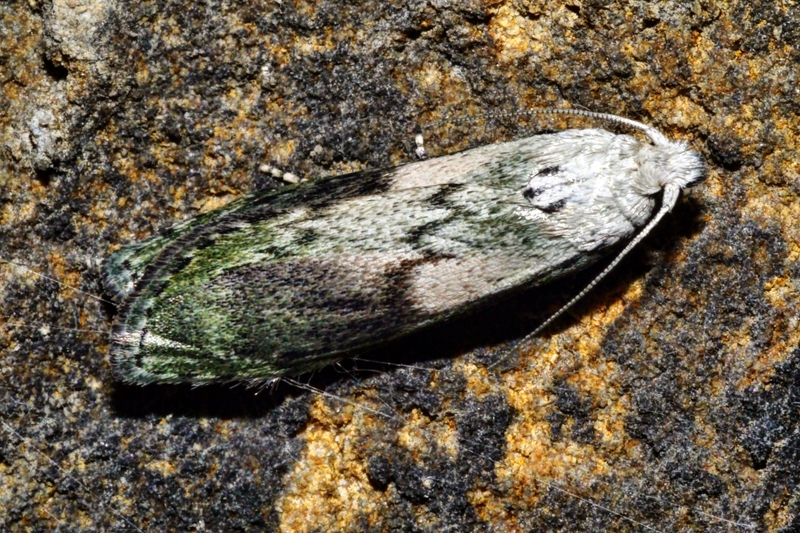 Subtle, but still a nice moth. It wasn't there at 8:30 am. It's worth me taking the photos when I can. 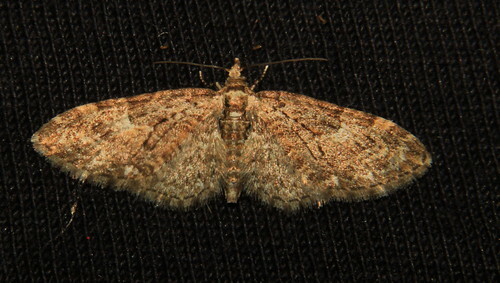 The other moth is a Pug, I can't decide which one, sorry. 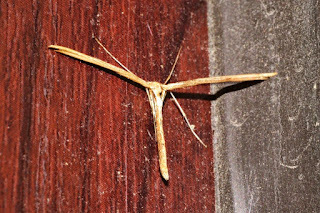 Wingspan is 2 cm. Brindled Pug. 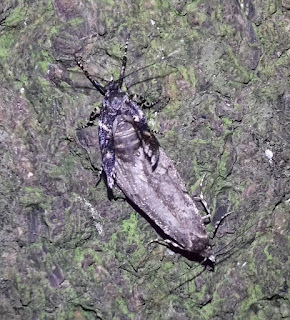 (Thanks to Andy for the ID). 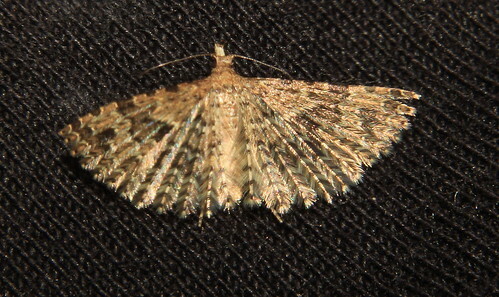 I caught this two days ago at Copley, forewing 4mm, flying in the early morning sun. 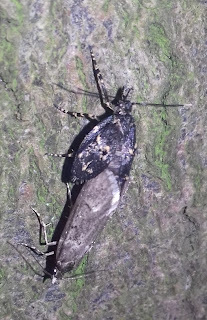 Absolutely no idea what it is. 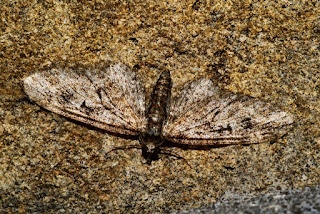 70.183 BF1834 Common Pug Eupithecia vulgata ???? had a walk to Manor Heath through the woods and back. Also the cocoon that I found a few months ago has finally hatched into a "stonking" poplar hawk moth. 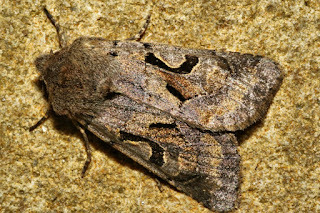 73.249 BF2190 Hebrew Character Orthosia gothica. J had a very bright yellow butterfly power across the garden here in Copley. Convinced it was a brimstone. 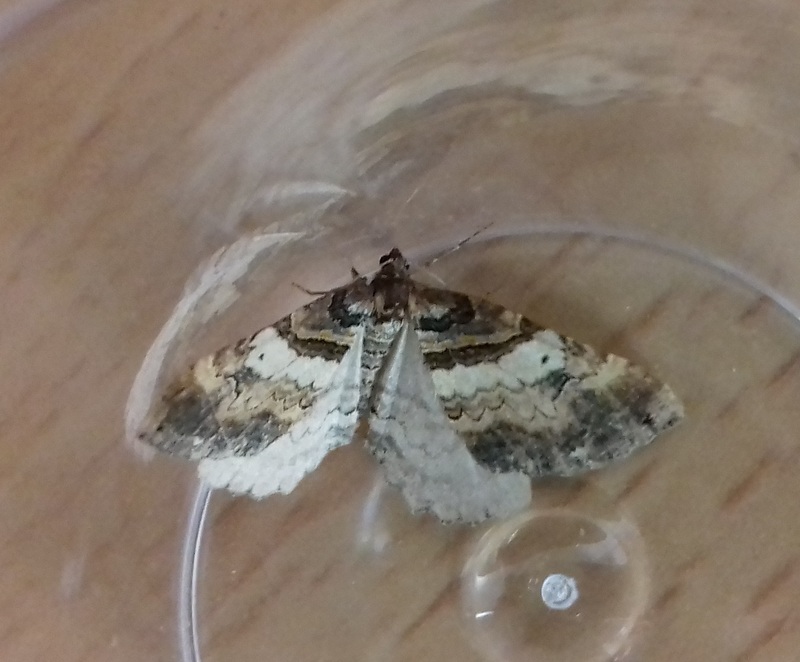 Also had pine beauty and Hebrew character at Ogden today. Anther mild night last night. 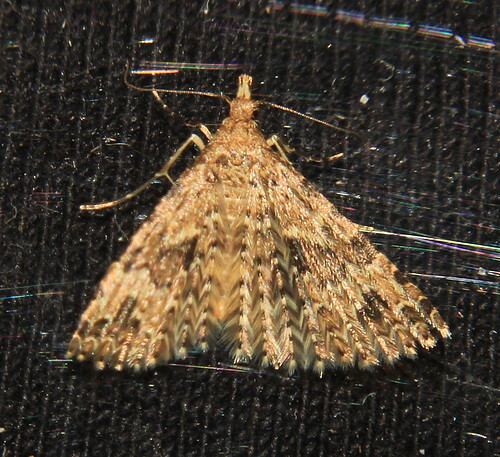 It gave me one moth, a Common Plume. Charlie and I went for a stroll down Robber Dodge yesterday, We saw a Common Plume on the step of a house on the main road. We did find one or two nice things during the day. I don't want to post anything, as I think Charlie may be doing that. 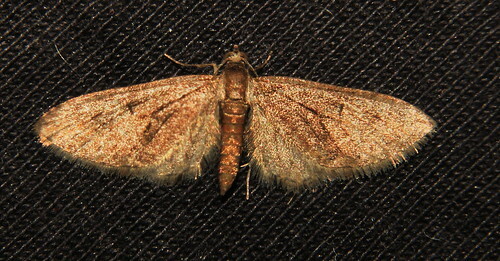 Common Plume - Emmelina monodactyla. 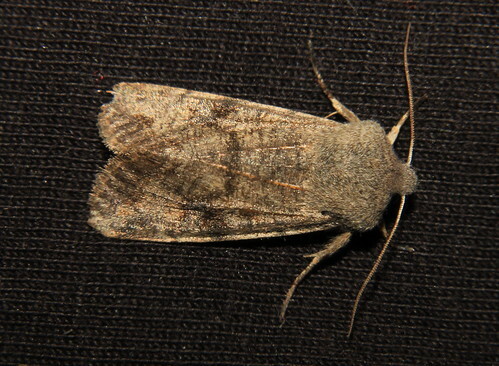 This last week or so with the moth trap on every night. Not a lot to show for it other than a max of 4 Hebrew Characters and Common Quakers. 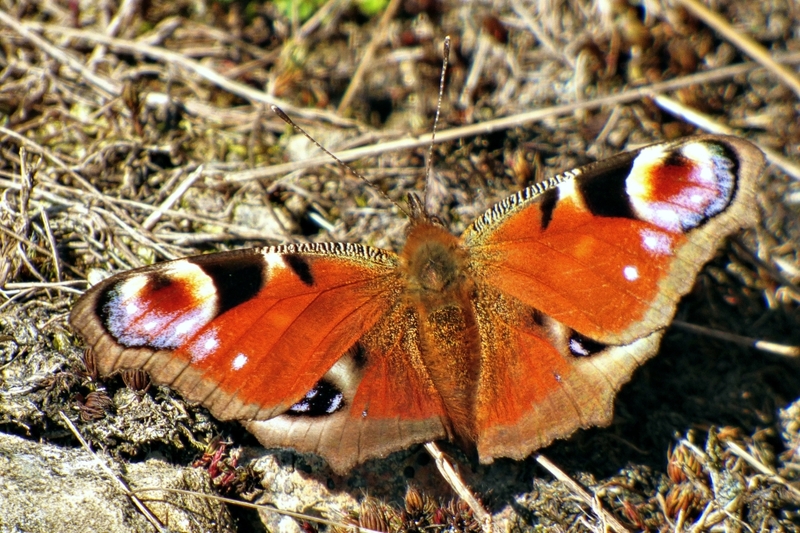 Not a lot else this week - just a few Peacocks and a similar number of Small Tortoiseshell's around and about. All being put onto IRecord. 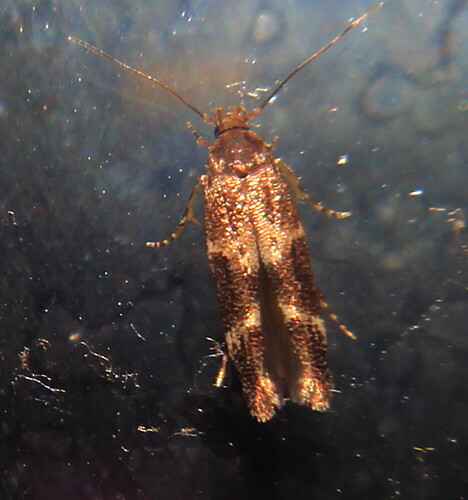 Had a few moths at the light over the last week or so. Also first orange tip male butterfly this afternoon and small tortoiseshell. Spring is on the way!!! 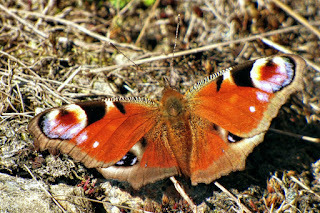 Shoulder Stripe (top pic ) not seen one in Calderdale before..Loads of Comma , Small Tortoiseshell , Peacock and Small White about last week when the sun came out. 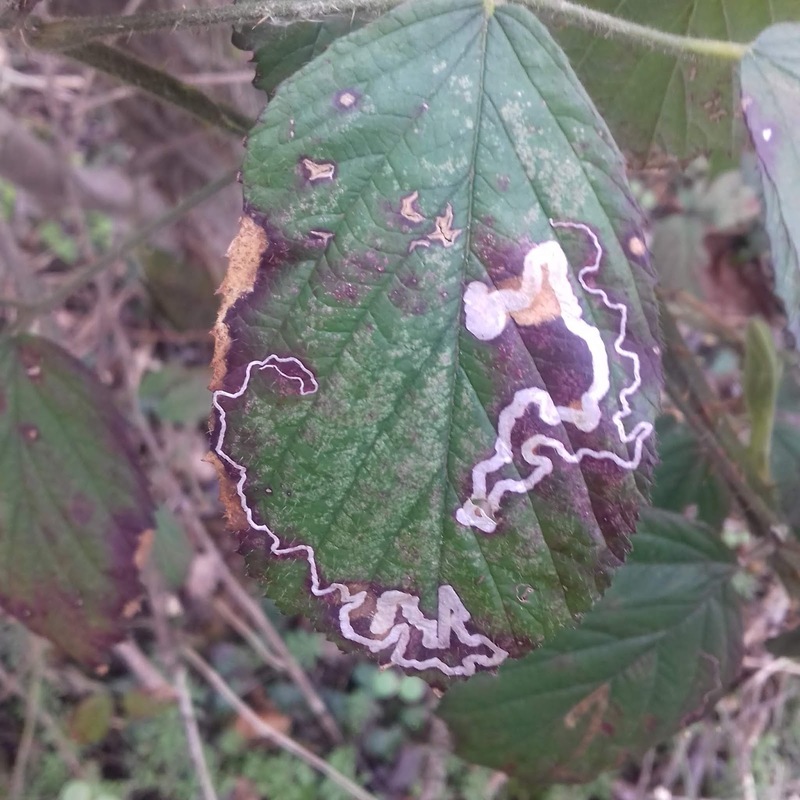 The very distinctive Stigmella aurella mines are easy to see at the moment. 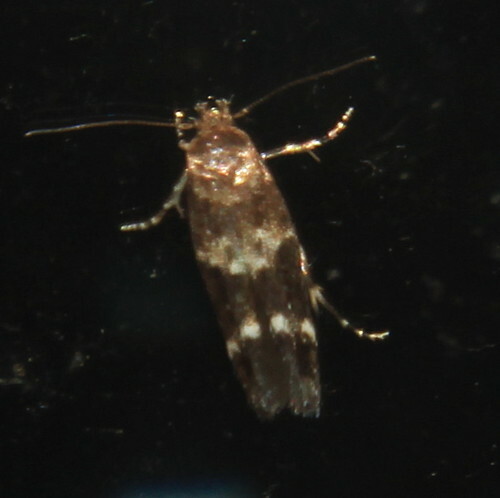 It was a little warmer last night, so I expected to see a moth this morning. I was not disappointed, I have two. 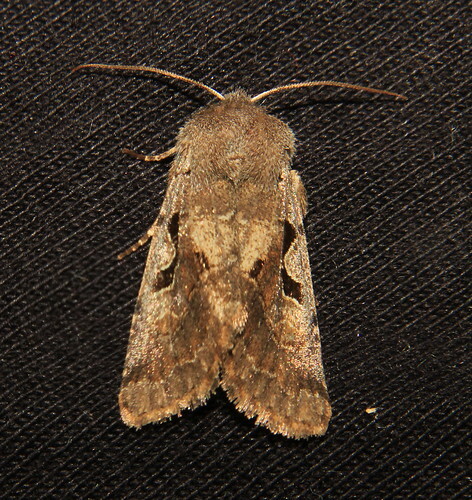 A Common Quaker, which I first saw on the 25th of February this year. The second is a Hebrew Character. I'm certain I had one once before. However, it is not in my 2016-2018 records. I'll have to look into my archived files and see if I am correct. Ground Zero of Amphibian Apocalypse. I know the following is not really in line with the blog. However, as naturalists I imagine we are interested in most nature related things. This one is pretty serious unfortunately. It makes for grim reading. 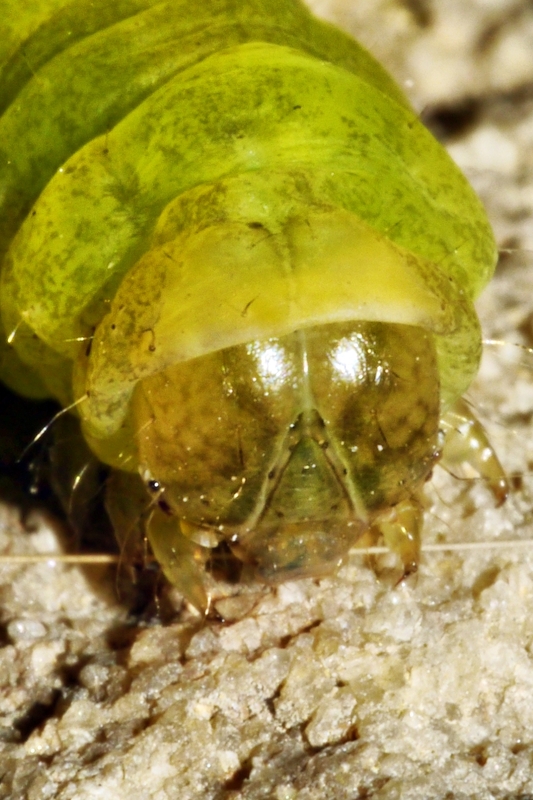 Globally, the world has lost 501 species of amphibians due to a deadly fungus. One of the 'Pinion's ?? We walked up from Ogden towards The Withens then across Ovenden Moor past the wind farm and back towards the top of Ogden. 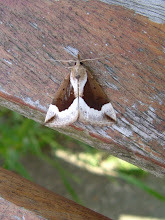 As we got to the top end of Skirden Cough we had a male Emperor Moth fly right by us heading up towards the wind- farm. It was in a hurry but we got enough on it to be sure, but it wasn't staying around for a photo ! At the top of White Wall End, the clough from Ogden reservoir that heads towards Thornton Moor, we had several micro's flying low over the heather but couldn't get close to any until this one below, landed on a sprig of heather and I managed a couple of shots - hopefully enough for identification. It was less than 10mm. 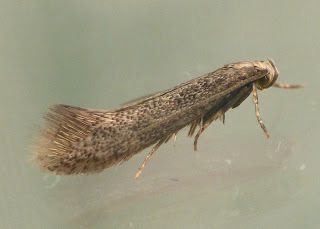 I think maybe Philedonides lunana ?? On the way back down towards the main road we had 3 Peacock and 4 Small Tortoiseshells - and I think we passed Gordon ?? some short distance away just on his way up. But didn't realize it might be him until I saw his post below. I was at Ogden today. I walked up to the quarry beyond Rock Hollow park. It was a more arduous walk than I had imagined,(owch!) It was worth it, I saw three Peacock Butterflies there. I suppose there will have been more, but I didn't see them. I've been trying to get a good photo of one of these beauties for many years, they seem to be very skittish and off before I could take a shot. I'm pleased with the first photo of them I've managed to get. 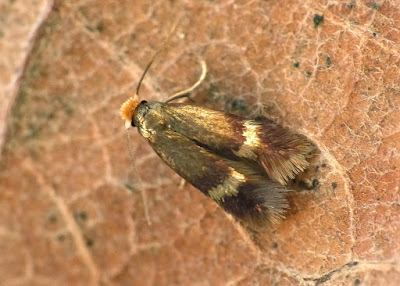 I also saw two small tortoiseshell butterflies, (no photos). 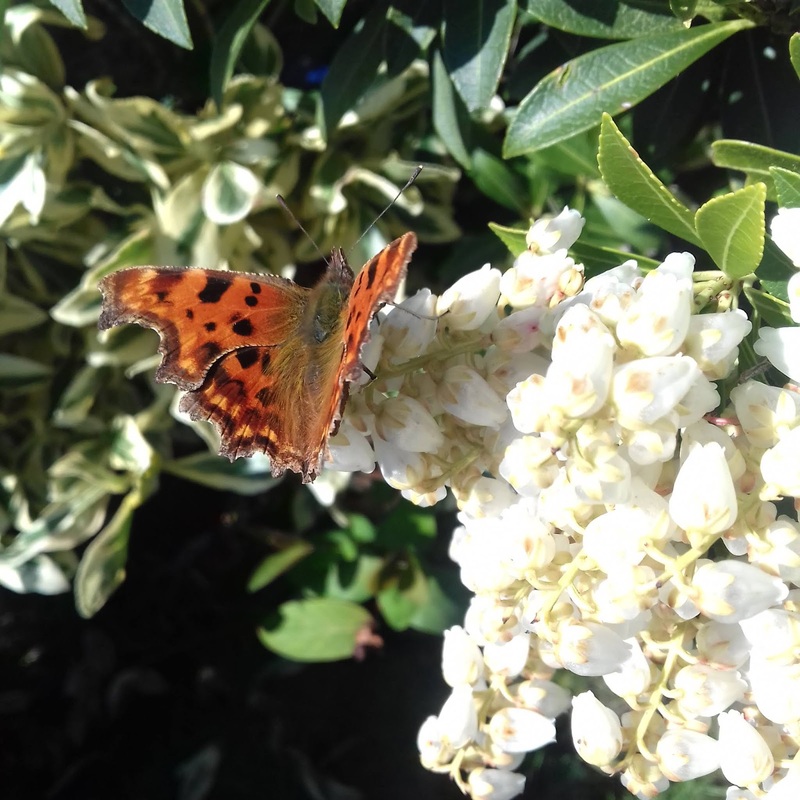 Like the last one I saw up there, they were feeding on the now fast-fading daffodils on Ogden Lane. I had what I'm assuming is a Golden Pygmy (Stigmella aurella) on my kitchen window yesterday. 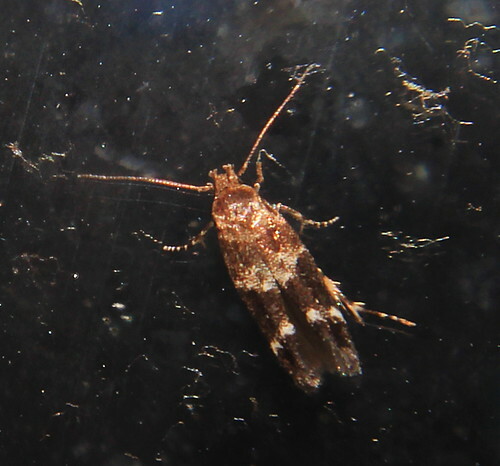 They are tiny but worth keeping an eye out for, I get indoors Nepticulids every two or three years. 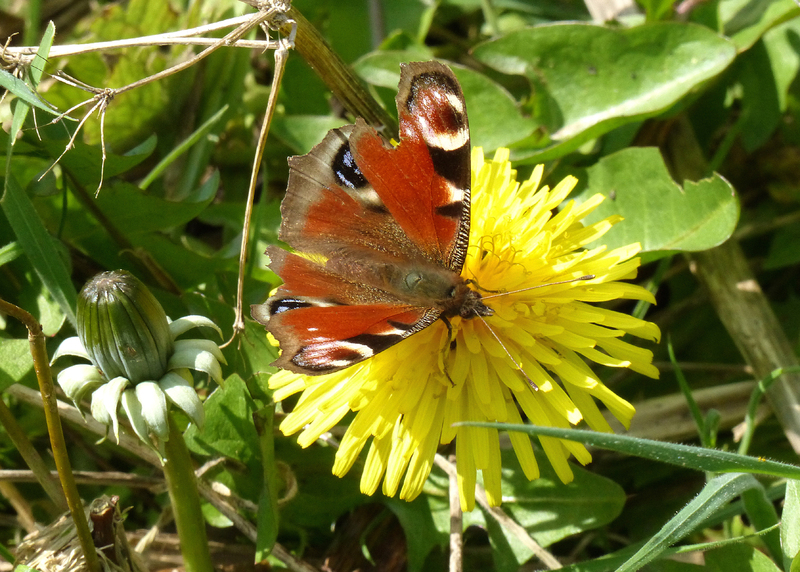 At the other end of the scale I had my first butterfly of the year nectaring on Dandelion in Bankhouse wood. A suitably tatty individual. Had my first Emperor flying on the moor at fly flatts today..
Just checking this one out. I think it must be Brindled Pug but the white spots on the fore-wing and one on the under-wing threw me a bit ! 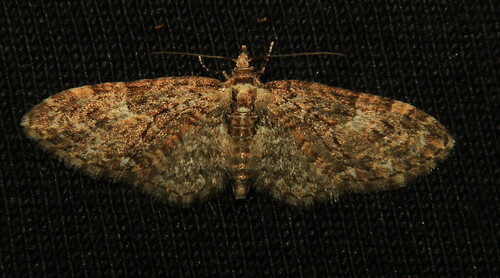 Double-striped Pug I think, looked a bit unusual with it's wings raised and not flat ! 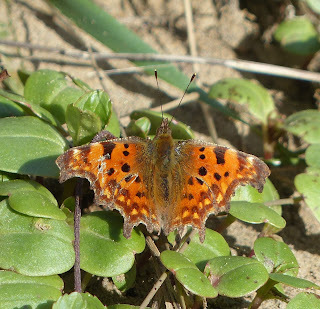 Plenty Comma today on the river at Cromwell Bottom , I counted 6 and 1 Peacock in the sun .4 Small Tortoiseshell at Northowram. 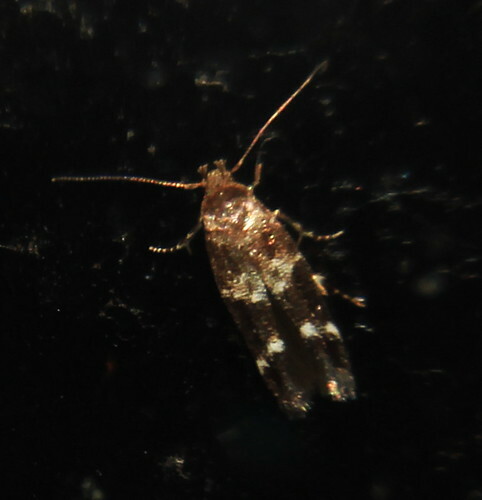 Diurnea fagella x 2 (think that's a new one for here)? 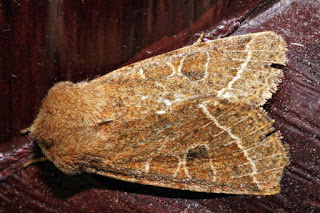 No Chestnuts this morning after 3 yesterday along with a single March Moth. I've contacted both Harry and Charlie Fletcher and it seems very likely that the small plume caught that night is Tansy Plume. It would be nice if we could find some Tansy nearby to key in with this record. Well kind of. 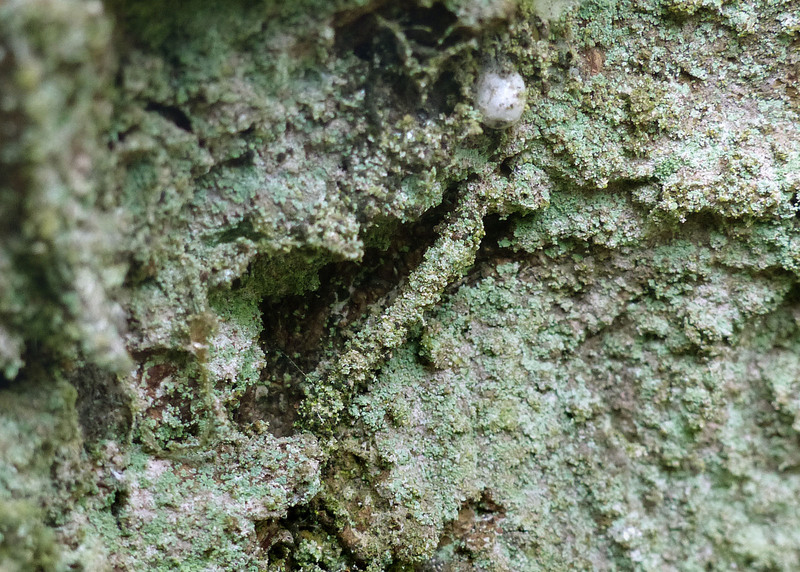 On my way up to Norland yesterday I found this lichen covered tube at Hollas Lane. It's 20mm long, silk-lined and although mainly adorned in lichen there's about a 20% frass covering. I'm assuming it has to be Silver-barred Clothes Moth (Infurcitinea argentimaculella). Much as I like the English names for micros this one's a real stinker as the larva feed on Lepraria lichens and NOT clothes! 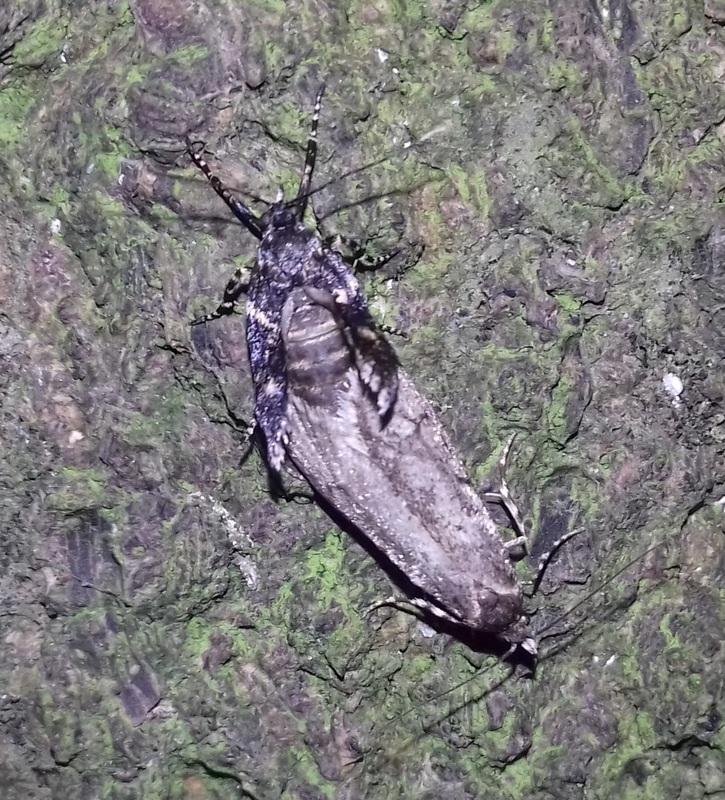 2 pairs of diurnea fagella found tonight of beech trees in Only House Wood and 1 Chestnut.. Angle Shades Cat Head Only. The Angle Shades caterpillar is still where it was. It changed it's position, so I was able to get a very nice shot of it's head. I decided to post it, as it's possible that not everyone gets the chance to see this amount of detail. You can clearly see it's eyes. On the left side it's a small black dot, on the right, it looks more of a brown colour.